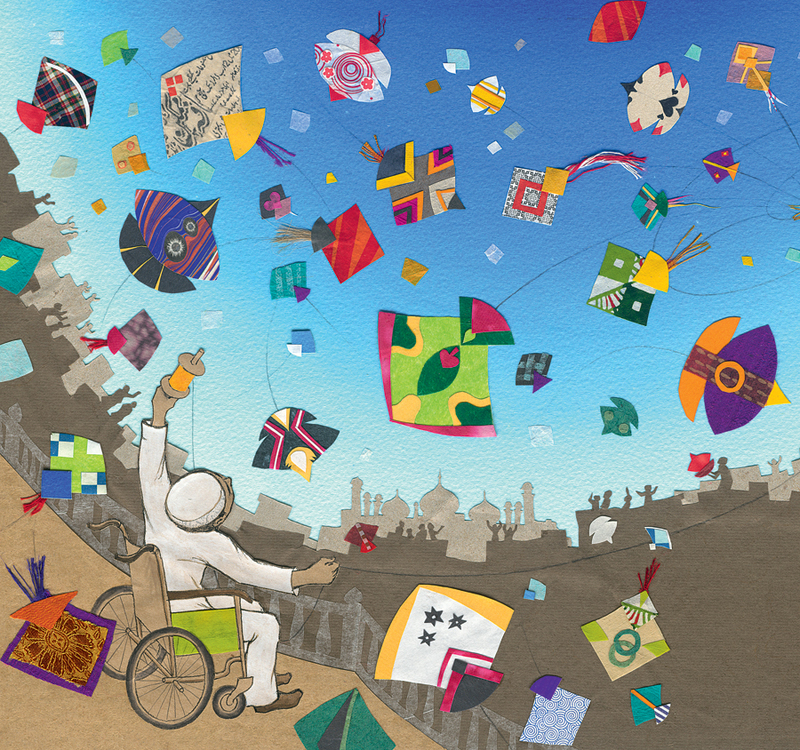 From his wheelchair perched atop a Lahore roof, Malik amasses a huge pile of kites, defeats the bully, and becomes king of the skies! Christiane Krömer’s stunning mixed media collages perfectly depict the beauty of the holiday. 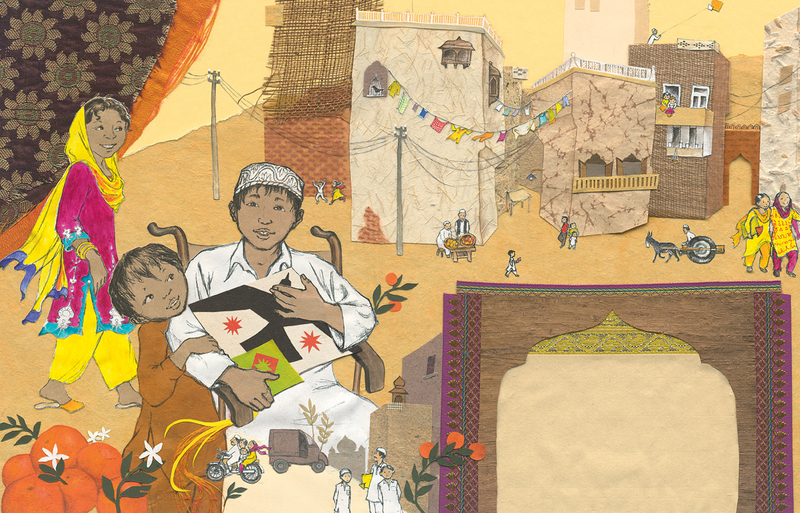 Check out the King for a Day site for more information and reviews.